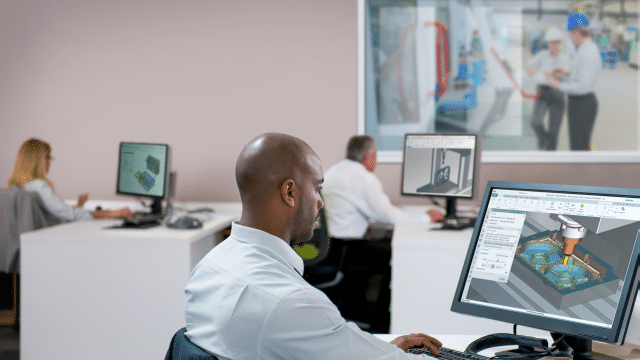 NX provides powerful integrated Computer-Aided Design (CAD) that enables seamless manufacturing – from digital part models to finished products. You can rapidly prepare 3D models for Numerical Control (NC) programming, verify manufacturability, and improve data quality with comprehensive design tools. Associativity to the digital part model links all the operation stages, enabling rapid implementation of design changes. By programming using the digital twin of your entire job setup, including the workpiece, fixtures and machine tool, and tooling you eliminate production errors and increase machine uptime. 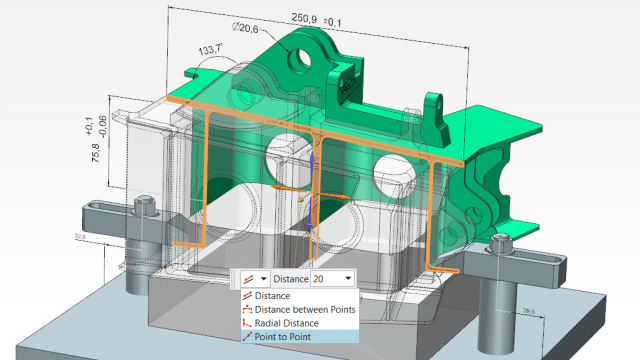 Read more about the powerful design tools for part manufacturers below. Synchronous Technology helps you directly edit any CAD model regardless of its complexity or how it was created. 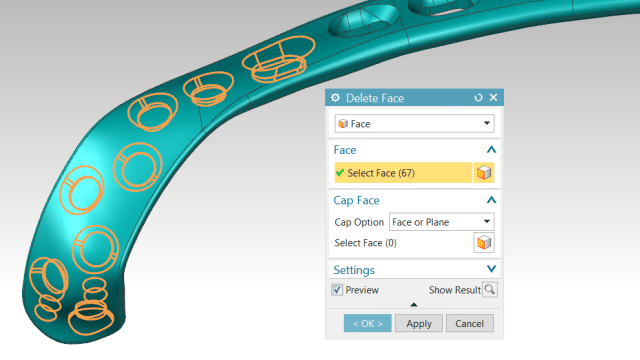 You can quickly optimize the part model to prepare it for NC programming, including closing holes and gaps, offsetting faces and resizing part features. For example, you can rapidly remove detail part features to create continuous surfaces optimized for smooth toolpaths. 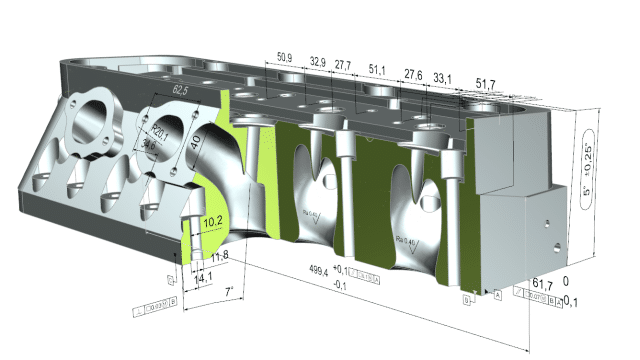 As you prepare part models for machining, NX maintains full associativity to the original CAD data, enabling easy implementation of design changes requested by your engineering department or your customers. You can capture and associate a part’s manufacturing requirements directly to the 3D model using Product and Manufacturing Information (PMI). 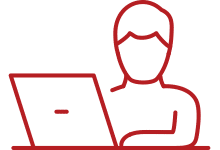 This information, including geometric dimensioning and tolerancing (GD&T), 3D annotation, surface finish and material specifications becomes available across the entire operation. PMI enables you to automate NC programming, saving up to 90 percent of programming time. It drives the selection of tools, machine tolerances, and operations to create optimized processes that can achieve the manufacturing requirements. NX utilizes PMI for Coordinate Measuring Machines (CMM) inspection programming by automatically choosing probes, inspection methods and operations. 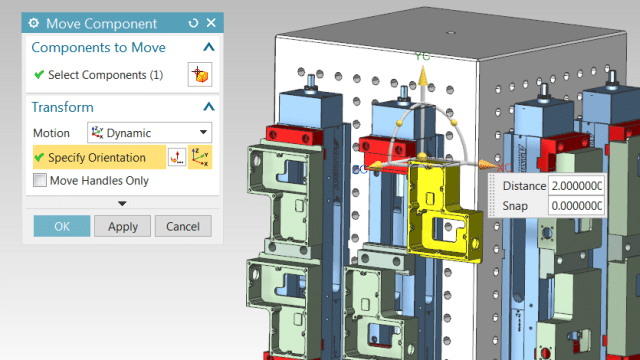 NX leverages the master model technology to facilitate concurrent manufacturing by linking all functions to the single model definition of the part – from part model design and optimization to NC programming and CNC machining to quality inspection. Associativity enables you to effectively handle engineering change orders (ECO). 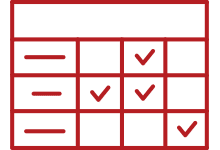 When design changes occur, the toolpaths, job setup assembly, and shop documentation updates instantaneously, ensuring that the right data is used in production. The master model technology helps you realize agile end-to-end part manufacturing, improving your efficiency and productivity.